Marc-André Hamelin was born in Montréal. He studied at the Vincent d’Indy School of Music and Temple University in Philadelphia. His principal teachers were Yvonne Hubert, Harvey Wedeen and Russell Sherman. He was the winner of the 1985 Carnegie Hall Competition. He now lives in Boston. Marc-André Hamelin is ranked among the élite of world pianists for his unrivalled blend of musicianship and virtuosity in the great works of the established repertoire, as well as for his intrepid exploration of the neglected music of the 19th and 20th centuries. Now long established in North America, Europe and the Far East, Marc-André Hamelin has given recitals in many cities around the world, including Amsterdam, Belfast, Berlin, Frankfurt, Istanbul, London, Luxembourg, Mexico City, Milan, Montréal, Munich, New York, Paris, Philadelphia, Tokyo, Toronto, Vienna, Washington and Warsaw. He also has many international festival appearances to his credit. He has performed concertos with the orchestras of Basel, Birmingham, Chicago, Houston, Indianapolis, Lahti, Minneapolis, Montpellier, Montréal, Netherlands Radio, Philadelphia, BBC (Philharmonic and Scottish Symphony), Polish National Radio, Royal Concertgebouw, Toronto, Ulster, Vancouver, Winnipeg and has toured with the Australian Chamber Orchestra. Conductors he has played under include Matthias Bamert, Dennis Russell Davies, Andrew Davis, Charles Dutoit, Mark Elder, Christoph Eschenbach, Günther Herbig, Fabio Luisi, Jukka-Pekka Saraste, Leif Segerstam, Vassili Sinaisky, Dmitry Sitkovetsky, Leonard Slatkin, Stanislaw Skrowaczewski, Osmo Vänskä, Hans Vonk, Hugh Wolff and David Zinman. His exclusive recording contract with the widely regarded UK label Hyperion has resulted in a discography that now exceeds 50 CDs, from Haydn and Mozart through Schumann, Alkan and Liszt, Reger, Debussy, Busoni and Godowsky, Skryabin, Medtner and Symanowski, Roslavets and Ornstein to Shostakovich, Bernstein and Bolcom. He has also recorded an album of his own works. These discs have all been exceptionally well received internationally; the many accolades that they have attracted to date include no less than 9 Grammy awards. In 2014 alone, he was honoured with the ECHO Klassik Instrumentalist of Year (Piano), Disc of the Year by Diapason magazine and Classica magazine for his 3-CD set of the late piano music of Busoni. He begins the 2016/17 season with summer festival appearances at the Schubertiade, Verbier, Lofoten and Salzburg, as well as recitals at Tanglewood, Domaine Forget, Aspen, and La Jolla where the La Jolla Music Society commissioned Hamelin to write a sonata for cello and piano for himself and cellist Hai-Ye Ni. His orchestral engagements this season include weeks with the Montréal and Minnesota orchestras, the Indianapolis Symphony, the Bayerische Staatsorchester with Kirill Petrenko, the NDR Hanover and the symphony orchestras in Gothenburg, Oregon, Bologna, Montpellier and the Warsaw Philharmonic. Recitals include the Vienna Konzerthaus, Berlin Philharmonic, Gilmore Festival, 92nd St. Y in New York and in other cities including Cleveland, Chicago and Toronto. Of particular pleasure to him is the opportunity to make his début in China this season with two recitals in the legendary Shanghai Concert Hall in November. A special project for the season will be duo recitals with Leif Ove Andsnes in Europe at London’s Wigmore Hall as well as in Rotterdam, Dublin, and Italy. His forthcoming appearances in North America include Seattle Symphony, San Francisco Performances, Washington Performing Arts, Wallis Annenberg Center for the Performing Arts in Beverly Hills, Chicago Symphony Presents and Carnegie Hall. With the Pacifica Quartet, he will tour the world première of his own piano quintet, commissioned by the Segerstrom Center in Orange County, CA and he will conclude the season as a juror at the Cliburn Piano Competition, for which he has been commissioned to write the compulsory solo work for the contestants. With performances of the concerti of Busoni and Marx, the Chopin/Godowsky and Alkan studies, the sonatas of Medtner and Skryabin, Reger’s Bach Variations, Szymanowski’s Second Sonata and Schmitt’s Piano Quintet, Marc-André Hamelin could almost be regarded as having taken Kaikhosru Shapurji Sorabji as one of his principal repertoire guides; to all of these works, largely neglected in and immediately after their own time, Sorabji drew enthusiastic attention in his critical writings. Like Skryabin and Godowsky before him, Marc-André Hamelin has concentrated principally on his own instrument in his compositions and transcriptions, many of which, as may be expected, reflect his own remarkable pianism. His works are published by Edition Peters, Theodore Presser and Schott Musik as well as The Sorabji Archive. In 2002, Amadeus Press published Robert Rimm’s book The Composer-Pianists: Hamelin and The Eight, the result of its author’s long-standing collaboration with Marc-André Hamelin which also brought about the Hyperion recording Marc-André Hamelin Plays the Composer-Pianists. In 2005, Marc-André Hamelin was honoured to be made Officer of the Order of Canada and a Chevalier de l’Ordre National du Québec. He is the recipient of a lifetime achievement award from the German Record Critics’ Association and a member of the Royal Society of Canada. 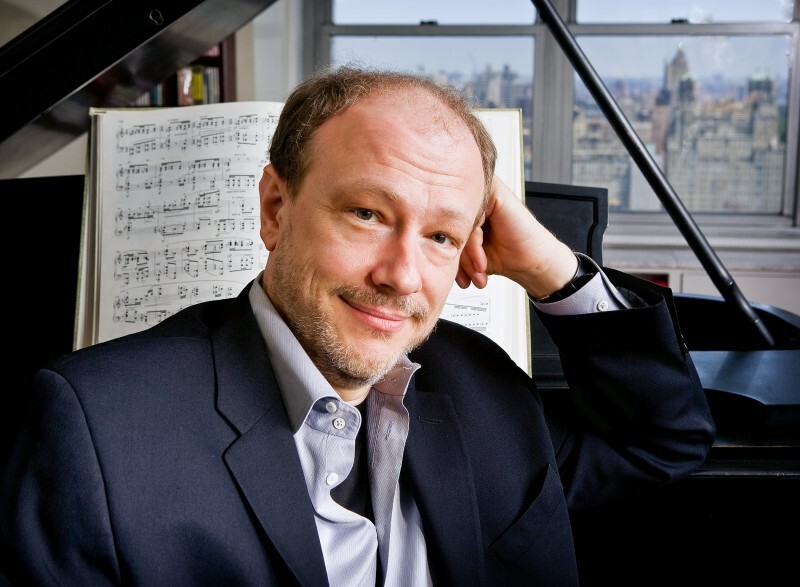 For further information and updates on Marc-André Hamelin’s recent and forthcoming concerts and compositions, please visit http://www.colbertartists.com/marc-andre-hamelin. Additional information is to be found on various pages at http://marcandrehamelin.com.